RAM is like a «gateway» between slow hard drive and fast processor. It has a much higher data transfer rate than a solid-state drive, so the operating system loads into the RAM from the hard disk, as well as frequently used programs. And the speed of the programs and games depends on what kind of RAM is installed on the PC. When choosing RAM, you need to take into consideration a lot of nuances in order for it to work best or whether it’s enough just to work on your motherboard. 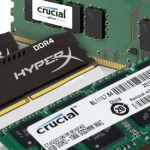 In this article, we’ll take a closer look at how to choose the RAM for the computer and we’ll discuss what’s the difference between memory modules. When choosing RAM module for a computer, you need to make sure that it’s compatible with your motherboard, and it has at least one free memory slot. The type of memory supported by the motherboard can be found on the manufacturer’s website and/or in the documentation for your PC model. You can find the information about the type of memory modules that are installed on your PC by checking the inscriptions on the items. But there is a way to learn the type of RAM and the number of free slots without having to dismantle the computer. To do this, you can use the program AIDA64 or CPU-Z. 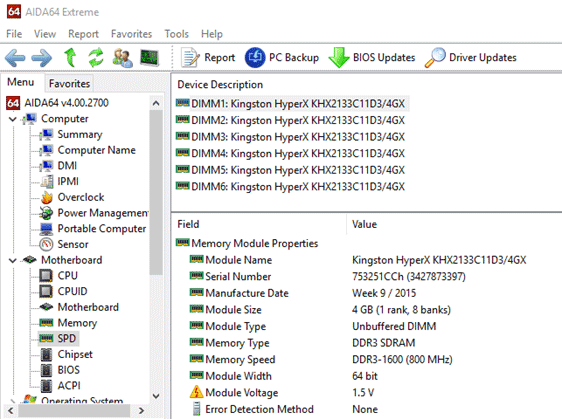 The most common type of memory currently installed in most home computers is DDR3, but on older computers until 2011, you can often find DDR2 or even DDR1 on computers being built before 2003. Modern computers use a newer type of DDR4 memory, which differs from previous generations with higher frequency characteristics (supports clock speed from 2133 to 4266 MHz), lower voltage, increased productivity (to 50%), data transfer speed and energy consumption is reduced by 35%. It’s important to mention that RAM type must be compatible with the motherboard installed on your computer. If the motherboard has a DDR3 memory slot, then you won’t be able to replace it with a newer and more advanced DDR4 – along with the memory, the motherboard and processor will have to be changed. 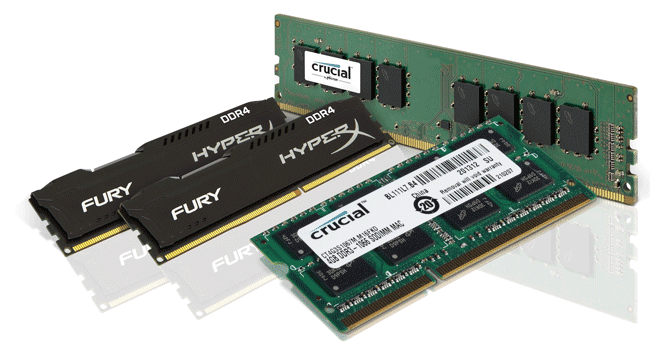 It’s recommended to install at least 4 GB of RAM in a modern PC (the good choice may be Kingston Technology HyperX FURY 2400MHz DDR4 Non-ECC or Crucial 4GB Single DDR4 2133). The nowadays standard is 8 GB, this amount is enough for the user for the most of everyday tasks. When choosing RAM for pros (who often works in programs that use a lot of resources, such as Autocad, Adobe pack, 3DSMax etc.) it’s recommended to install modules with 16 GB (Corsair Vengeance LPX 16GB (2x8GB) DDR4 DRAM 3000MHz) and above. The RAM clock speed determines the communication speed with the motherboard. The higher the frequency, the faster the computer works. It directly depends on the memory bandwidth and the price of the memory module. You need to choose memory based on what clock speeds are supported by your motherboard and processor. Old processors that support DDR3 memory, can support memory with a maximum clock speed of 1333, 1600 or 1866 MHz (depending on the model). The main RAM for today is DDR4 memory of 2400 MHz, which is supported by the most modern processors, motherboards and costs the same as DDR4 2133 MHz. Therefore, to acquire DDR4 memory with a frequency of 2133 MHz today does not make sense. A form factor is a standard that defines the main characteristics of a memory module (dimensions, number and principle of the location of pins). FB-DIMM. It is equipped with increased buffering support and a high quality of work. Should be selected as RAM for servers. The remaining form factors are unlikely to be of interest to a simple user – they are installed either on servers or on old PCs. CAS (Column Access Strobe) latency (CL) is one of the most important parameters of the memory module. It determines the time that the RAM responds to the processor to request data from it. The lower the value of CL, the faster the memory gives out information and the higher the overall performance of the computer. The typical latency for DDR4 memory is 2133 MHz — CL 15 (Crucial 8GB Single DDR4 2133 MT/s CL 15), for DDR4 memory with a higher frequency — CL 16. It’s not necessary to acquire memory with latency higher than specified. On some memory modules you can find radiators, which is used to remove the excessive heat from the chips. Manufacturers put radiators on expensive modules that are working at high frequencies. As a rule, radiators are not needed for the operation of DDR4, working on a regular (1.2V) or moderately high voltage (up to 1.3V). Most likely, radiators are needed for DDR4 memory with frequencies above 3000 MHz and 1.5V and higher.